This past weekend I drove to Keyport, New Jersey to give three talks (two in English, one in Spanish) during the homily of three Masses at this church called Jesus The Lord. The talks are for my new job, the Catholic Volunteer Network, and I was there to motivate people to volunteer and support our programs. This is how I roll...literally. 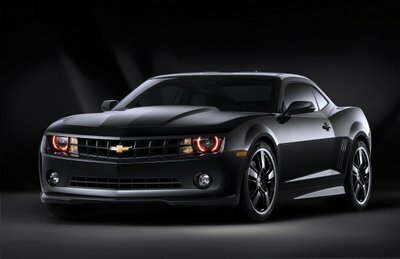 -Enterprise (actually Tiffany who worked there who wanted to hook me up) gave me a 2010 black Chevy Camaro to drive. That ride was so sweet. I felt like a G riding full bass with XM radio wearing my black flat brim. Lil Wayne's "How to Love" is stuck in my head, was my favorite song that would come on because the bass would literally shake the entirecar, and after a year of salsa and bolero music, some hard hip-hip in my life was welcoming. And don't get me started with the speedometer which was 3D blue light, literally it appeared ON THE ROAD as I was driving, and the music selection appeared there, too. It'll be sad when I have to return that baby back tomorrow morning. -Funniest interaction with a parishioner. No joke here's how the conversation went with a white-haired woman who I think was in her 70s. "Are you sure, you're single?" "OK!" And she says it with this grin on her face. And she walks away. I didn't see her after that haha. -My dinner with Fr. Ken. Great guy. We had a lot to talk about from priesthood to how my Fr. O, CUA's last president, is now Bishop O'Connel, the bishop of his diocese to teaching English to my time in Costa Rica. Really great guy. And he took me out to this really fancy restaurant with prices I've dreamt of spending. Like, we each ordered an appetizer. I had my OWN APPETIZER! To myself. I don't think that's ever happened in my life. -After dinner I drove out to the shore and walked along the beach by myself. I sat there in the dark, listening to the water. And I had moment, just talking to Jesus, about life. I haven't done that in awhile, but walking on the beach made me think about how Jesus walked on the beach when he was gathering fishermen to follow him. I asked him if he was catching me, too. -I gave my talk in Spanish the next day. I wasn't as practiced as I wanted to be because I had it edited late (lesson learned), but I still got the message across and I had an overwhelming amount of people who wanted to talk to me, I feel like more than the last two Masses combined. Again, I felt bad that we had ran out of booklets. Anyway, I'm going to post my talks, too. I feel like Fr. Bob posting my homilies (and I guess they sort of are, they're reflections on the Gospel and I spoke in place of the priest's homily). Haha I hope so. Bendeciones on your volunteer year! How I WISH there was a picture of you in that car... Looks like the batmobile.